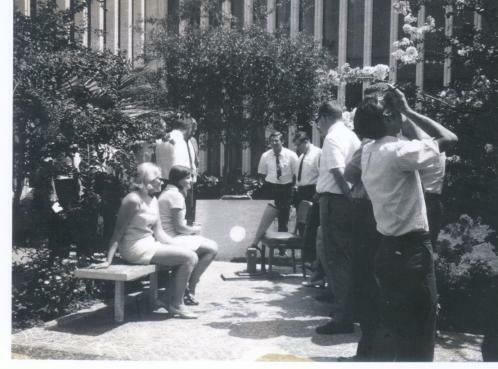 The earliest solar eclipse observation in the state of Texas was likely done from Fort Worth during the July 1878 total eclipse. 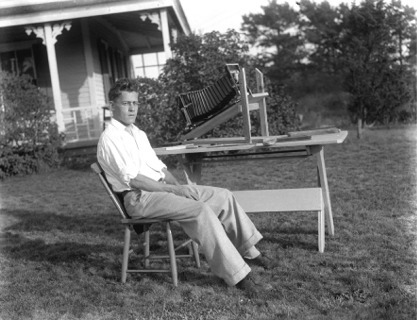 Edison Schaefer in the 1930’s built a small observatory (BELOW) in the town of Schulenburg located between Houston and San Antonio, hand-grinding the 10-inch reflector mirror. 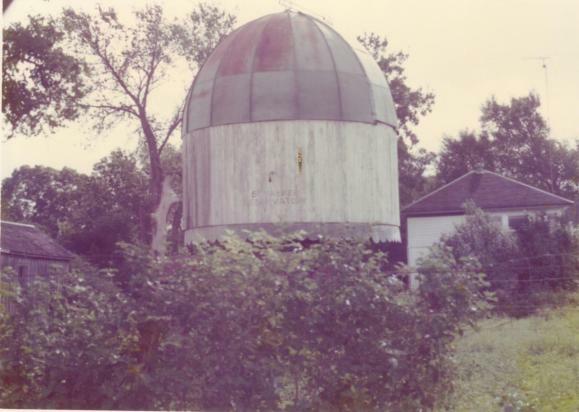 The observatory and telescope are preserved in the town. 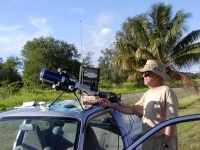 In 1975 I bought 9 acres north of Schulenburg and set up a small observatory there. 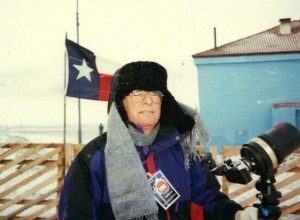 Five years later a tornado blew the dome off the observatory and I decided to sell the property. 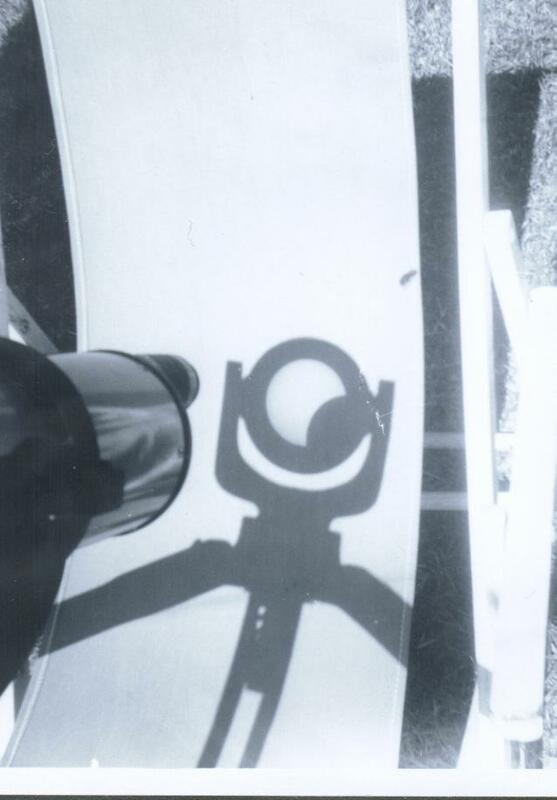 My earliest eclipse photo was that taken 85 years after the 1878 photo was taken– in July 1963 from San Antonio, Texas projecting the image of the sun onto a lawn chair using a 3-inch refractor owned by Carol Damm. 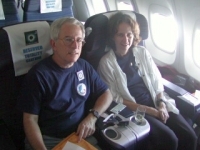 Her late husband had fought against Pancho Villa some 50 years earlier. 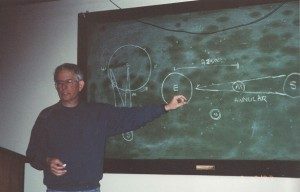 In undergraduate school from Edinburg, Texas most of my observation was done in or near the dome of the 17-inch reflecting telescope located on campus. 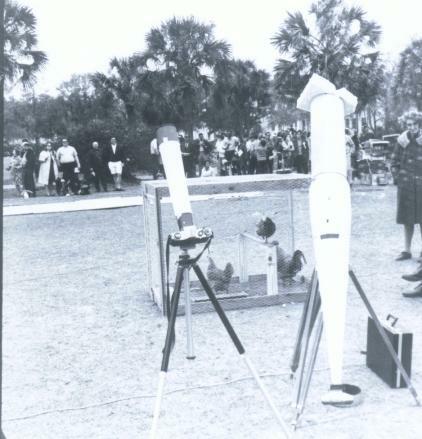 Soon after moving to Houston, Texas I set up a 5-inch refractor to project the sun during the September 1969 eclipse for employees of Lockheed Electronics Company. In March 1970 I found myself in Valdosta, Georgia set up in front of a rooster pen. Not a good decision. 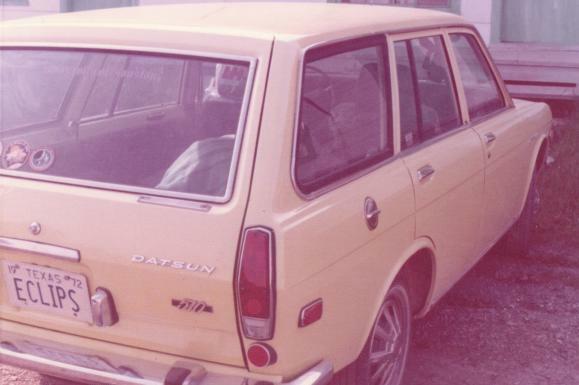 Three years later I drove a Datsun station wagon from Houston to Cap Chat, Quebec with an ‘eclipse’ license plate. 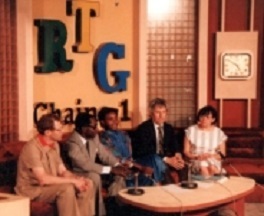 Back then there was a limit of just 6 letters. 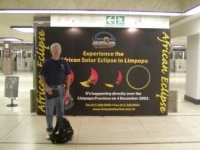 Elsewhere in the USA, other amateur astronomers, perhaps unnoticed, observed solar eclipses. 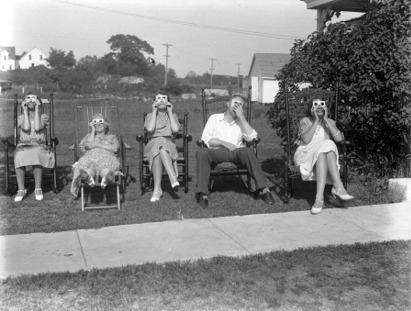 One such amateur was Al Webber who in the photo below took images of the total solar eclipse of August 31, 1932 from Beachwood, Maine. Al was age 25 at the time and provided these images to me at age 99. 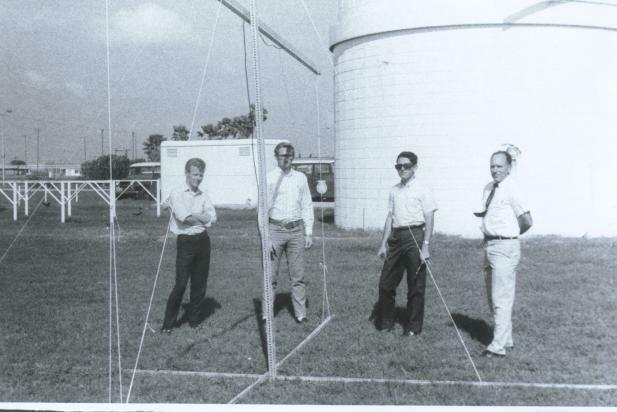 Even then, others around Al knew how to get comfortable when visually watching the progress of the partial phases using protective exposed film. 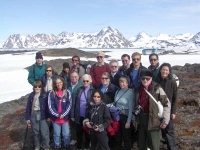 Today, the material has changed but the principle of casual observing is still the same. 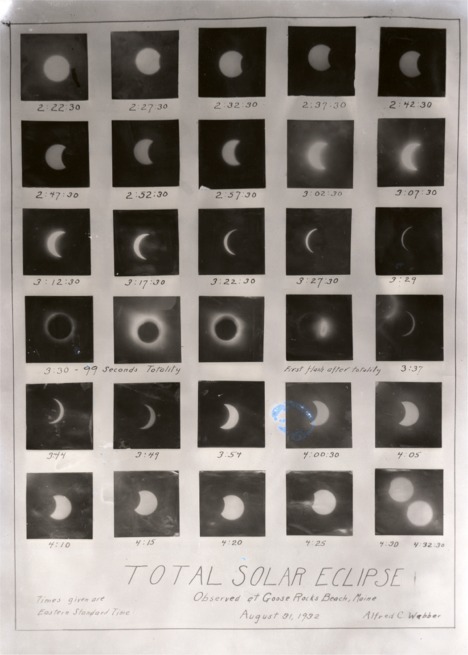 Here is a photographic recording showing a sequence of images taken of the 1932 eclipse taken with the camera shown in a preceding image. Photo by Al Webber. 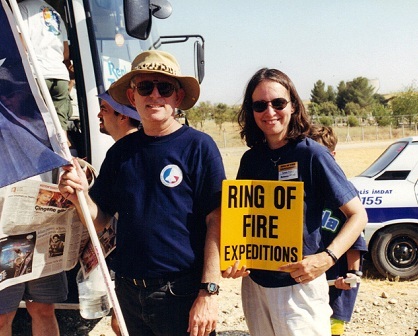 First use of “Eclipse Gum” ever at the Total Solar ECLIPSE, BATMAN, TURKEY 1999. 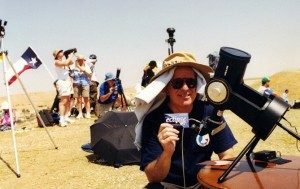 Using a Celestron 90 in the snow at the TOTAL SOLAR ECLIPSE in DARHAN, MONGOLIA 1997. 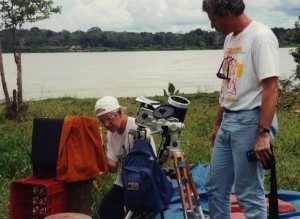 Richard Nugent (right) and Paul Maley on the Amazon River at the ANNULAR SOLAR ECLIPSE in PUINAHUIA, PERU 1995. 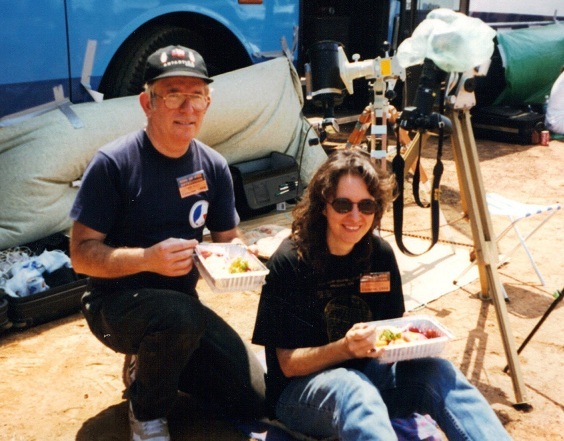 Post eclipse lunch at WATAMULA, CURACAO TOTAL SOLAR ECLIPSE 1998. 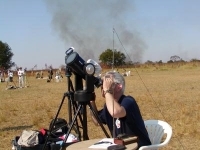 Providing the new observer briefing at the TOTAL SOLAR ECLIPSE IN LUSAKA, ZAMBIA 2001.